It had been a long time since we went for a long drive or a mini vacation. 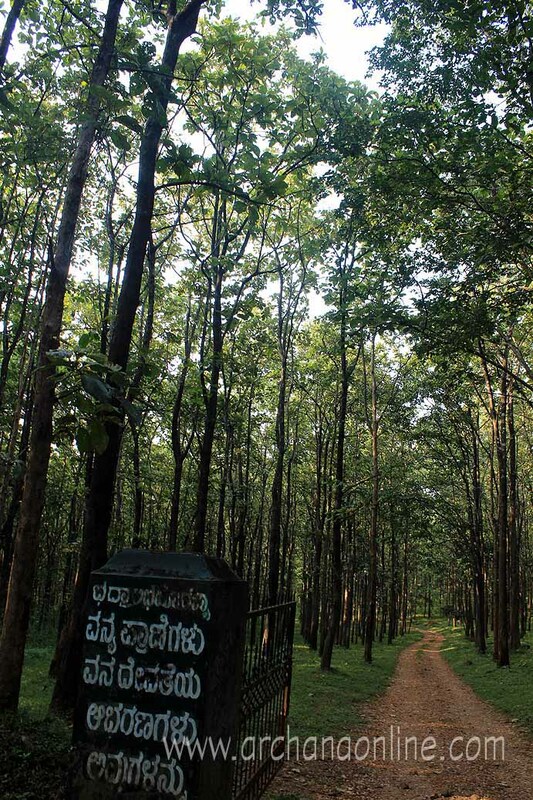 Chikmagalur was a destination we intended to visit from last year itself. We started the journey around 6am though we wanted to start earlier. The roads were quite good till Belur. We could easily cruise around 110-120km/hr. We had breakfast at a Cafe Kamat nearby Kunigal, much early at around 7.30 itself, as we decided Kamat Yatri Nivas would be late, maybe not for us, but for the kiddo. There was also a Hotel Sahyadri inside a petrol pump, as our second backup restaurant. 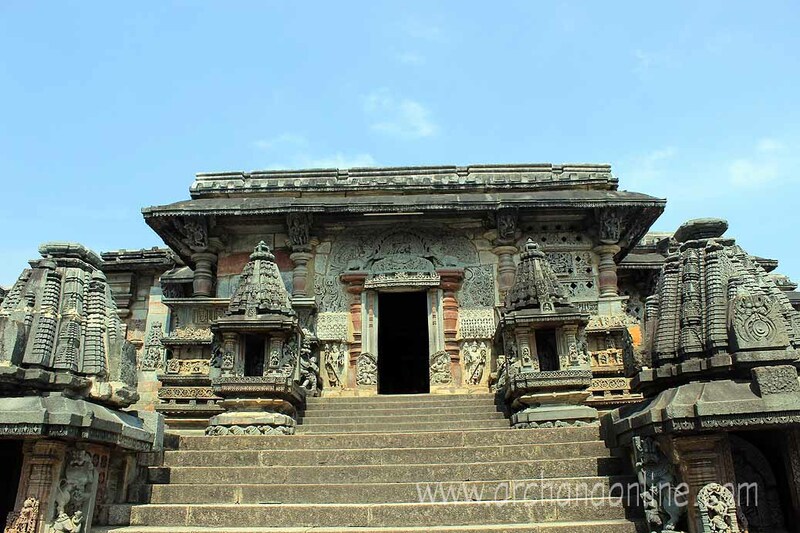 We reached around Belur around 10.30, and hence decided to visit the Chenna Keshava temple, and if time permits then proceed to Halebidu. 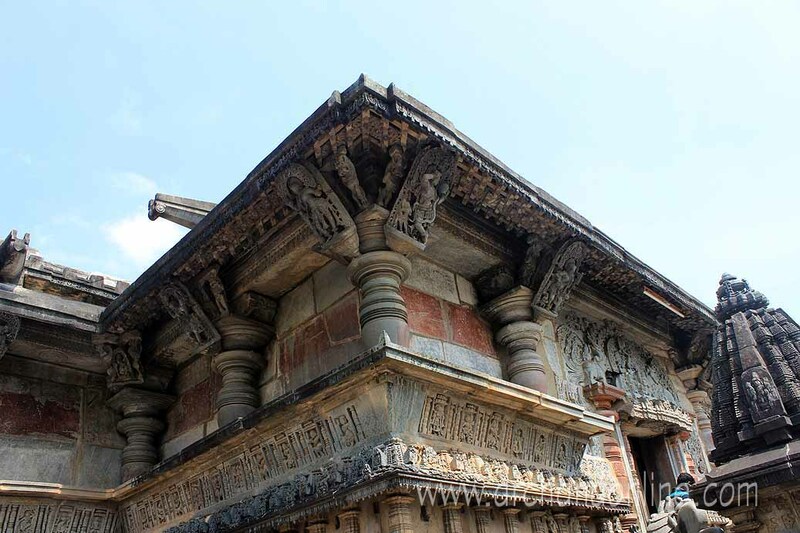 At the Belur temple, we got hired by a guide for Rs.250/- and he started lecturing about the 48 celestial damsels called madanikas and other sculptures on the outer walls and also within the temple. After going around the temple for few photos, we got back into the car. I was forced to buy two stone deepams for Rs.100 by the handicraft sellers. 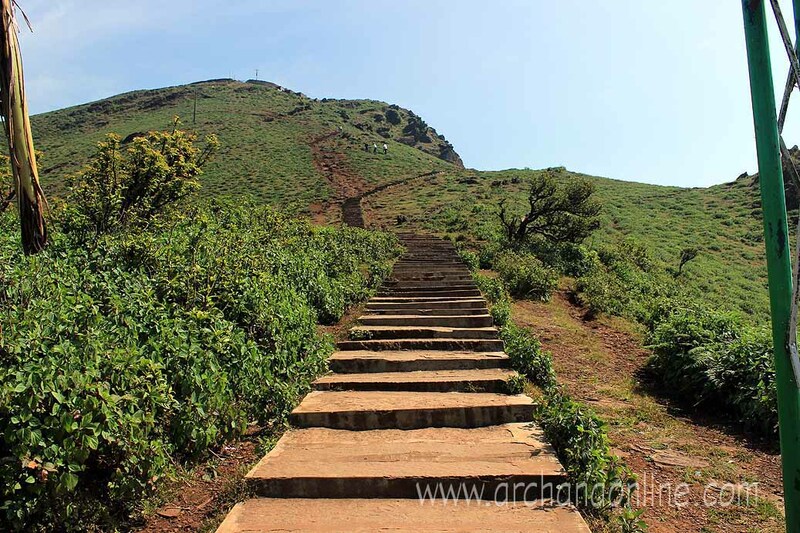 By the time we got back into the car, it was already 12.30pm, so we skipped Halebidu and proceeded towards our homestay at Chikmagalur, Thippanahalli Homestay. The homestay at Thippanahalli estate was beautiful. 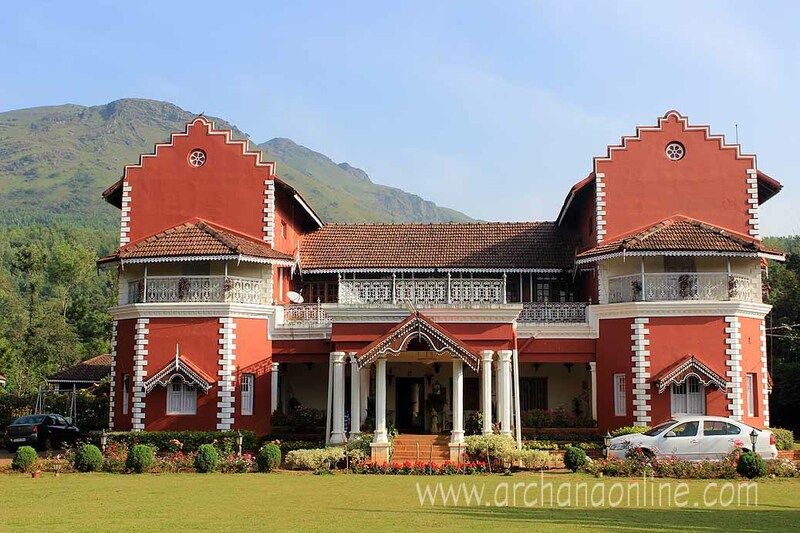 The red and white main bungalow is occupied by the owners, the Aralagauppe family. 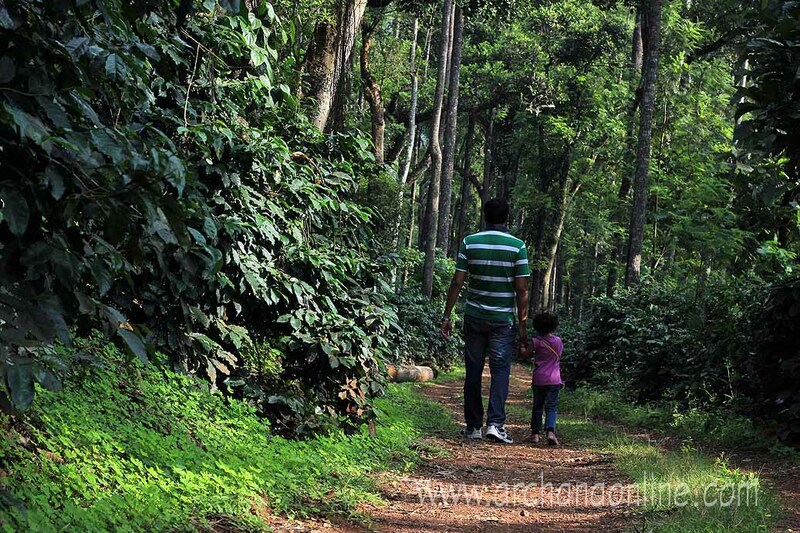 The present generation, Nithin and Arpitha is continuing the tradition of maintaining the coffee plantation business. The homestay was added in recent years, with two newly added rooms facing the garden, Kent and Sandromon. 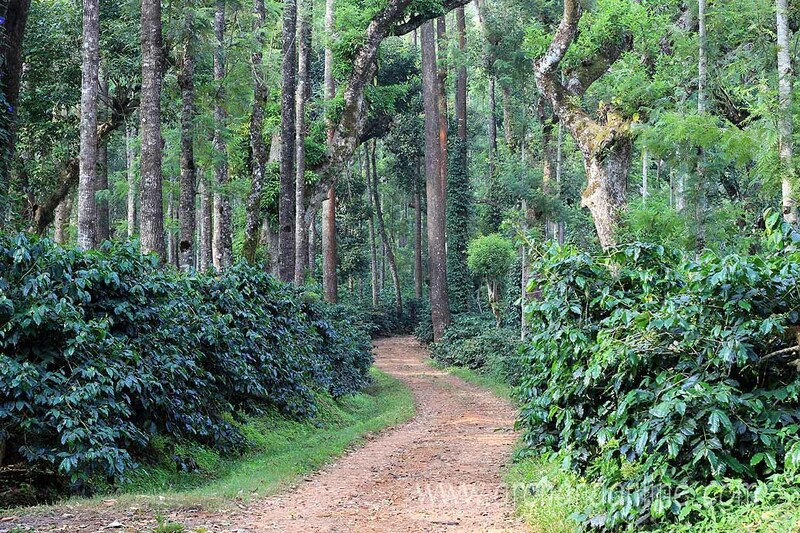 There were indpendent cottages, Arabica and Robusta which faced the mountains. 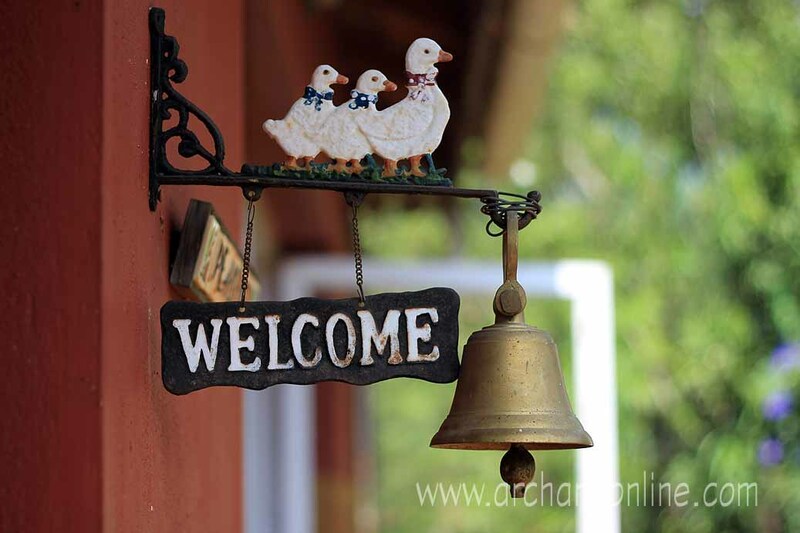 We were welcomed by Arpitha and were offered Kent cottage. This was the first time we were staying in a homestay. The involvement of owners and the lively conversations gave a homely atmosphere and warmth to our pleasant stay. The meals were all very good and consisted of homely food. We didn’t bother to specify special meals for the kid, but mostly we had curd and sugar accompaniments for the chapatis and parathas at the buffet counter doubling up as saviours since the food was spicy for the children but perfect for adults. We decided to rest for Day 1 after the long drive. We all had a quick nap in the afternoon, and roamed around the estate garden in the evenings. After sunset, it was chilly and cold but during daytime, the weather was very warm. Since we landed up on Thursday, midweek, the cottages were all empty except for us. We were hence treated royally with occasional servings of tea and coffee and snacks. There was two campfire areas and two gardens. The car parking shed was converted to table tennis court with additional cricket bats, badminton accessories for the inmates to use. Around 8am, just before breakfast, we met Nithin at the reception for our coffee plantation walk, which included history, working of the coffee plantation and other details. 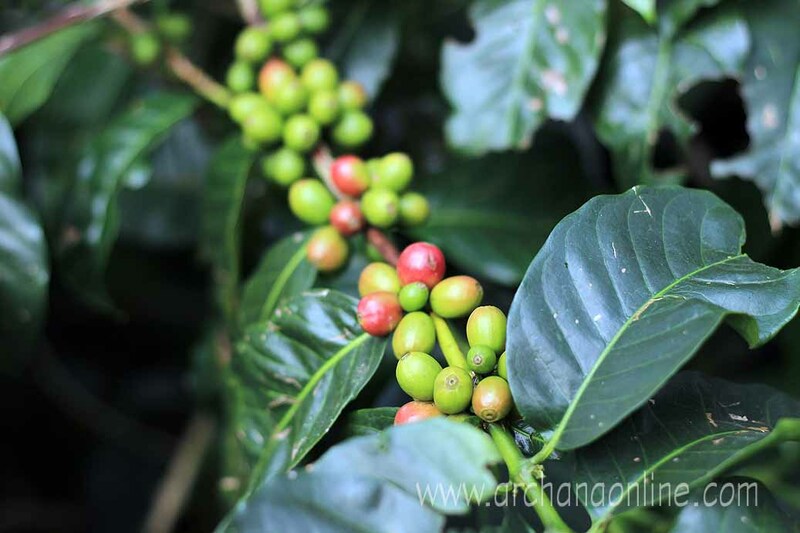 Its a 15 minutes talk on identifying the coffee plants, beans, their processing and so on. We walked a bit further along the walking track specially made along the plantation and then returned to have a hearty breakfast. 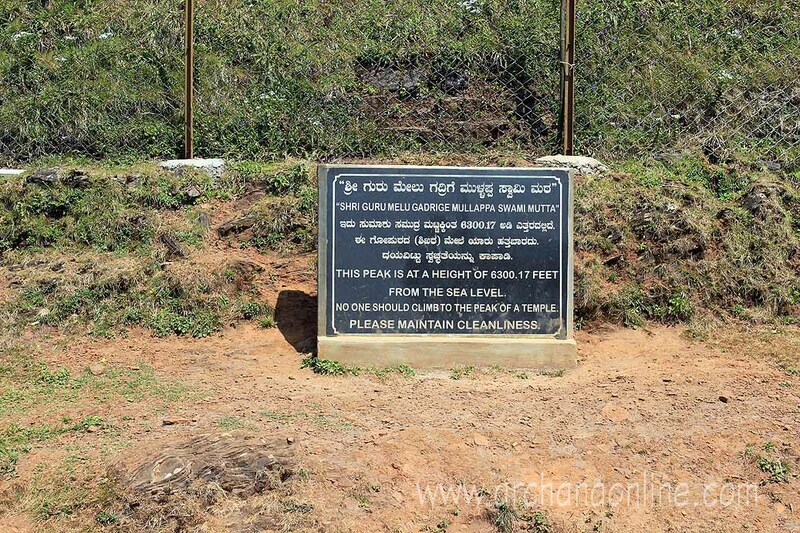 We planned to go to Mulayanagiri peak and Babu Budan Hills for the day. 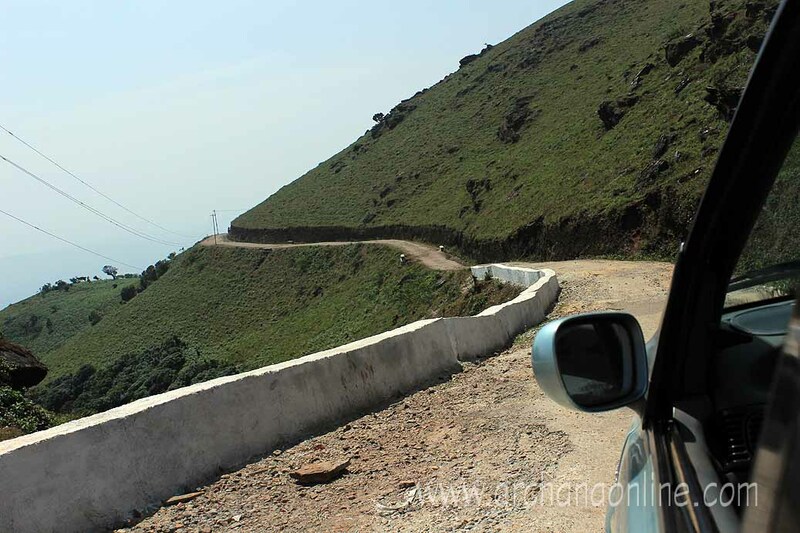 As per the recommendation, we ordered for a cab, as the roads to the mountains were narrow. After breakfast we headed to Mullayanagiri peak, which is the highest peak in Karnataka. There is a temple on the top of the peak, for which we need to climb 450 small steps. This resembles a hiking for the new adventurists, but the temple is so famous in nearby areas, that scores of people were walking up and down without any fear. RK went nearby the cave where the saint Mullappa Swami lived, and the Shiva temple is dedicated to the samadhi of this Swamy. On the way back, we also stopped at the Seethalayanagiri temple, devoted again to Shiva, with a natural spring around it. After this trek, we went back to the estate to have lunch, and started towards Baba Budan hills in the afternoon around 2.30pm. On the way to the hills, the cab driver stopped to see the Jhari waterfalls, for which we were asked to walk 1km. But what we didn’t knew was the 1km was on the elevation, and hence the roads were zig zag with heavy slopes. This was the most arduous part of our trip. Poor RK had to carry Nayana as I was panting and out of breath while coming back up. The waterfalls were worth it, but we (or rather me) was too tired to enjoy and take in the beauty of the wild. 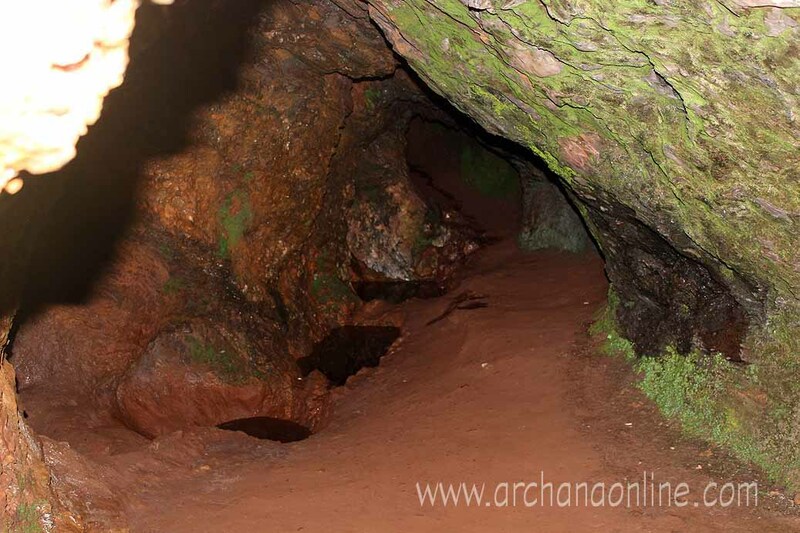 We stopped at the Baba Budan cave at the Baba Budan hills for a quick visit of the shrine. It was already 5.30pm by the time we reached there, since we took more time at the waterfalls trekking. On the way back, we had to stop for around 10-15 minutes, since road work was going on at one of the curves of hills. We returned to the estate too tired for the day. We were still recovering from the aches of the adventurous trek we had the previous day. Hence the day was planned leisurely. After breakfast, we headed to the Chikmagalur town, to buy some coffee powder from Vasavi and Panduranga Coffee works. We also saw the location of the much sought The Serai hotel, further south of the town. 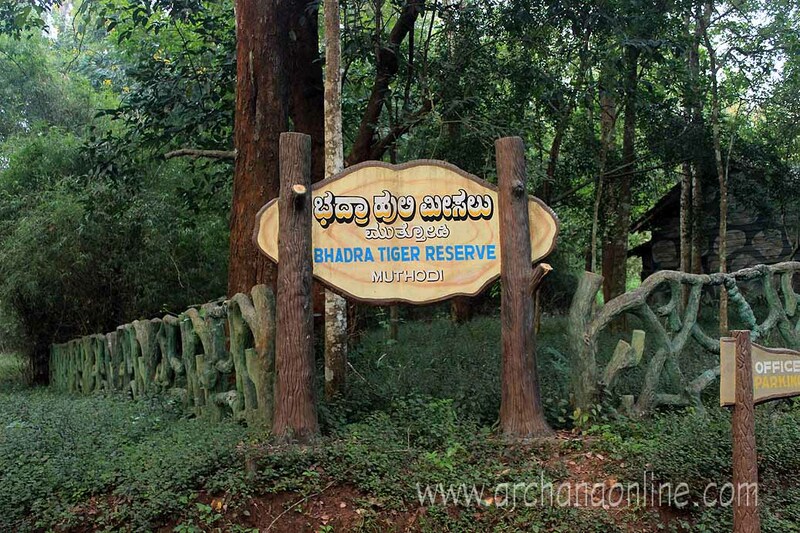 After a quick lunch, we headed to Bhadra Tiger Reserve at the Muthodi branch. The drive was kinda creepy towards the last part, where there was not much directions, and the roads were narrow with dense trees on both sides. It took an hour to reach the Muthodi forest office, where the safaris started at 4pm. The safari costed us Rs.400/- per person, and we were asked to sit in front of the jeep, since we had a child with us. Though we had high expectations to see a few popular animals, we saw none except for a peacock and a squirrel and that too far away. Nevertheless, the visit and drive inside the forest brought us much closer to the nature and enabled us to experience the beauty of wildlife. We reached around 7.30 back at the estate. Since it was a Saturday, more guests had arrived and the personalised attention was no longer available. The dining room was bit crowded, as they are just expanding, and didn’t had the space for all the guests at the cottage to be served in one go. The weekend dinner consisted of the local flavors and was very delicious. After breakfast, and packing and checking out, we started quite late for Halebidu, and the sun was way up high. 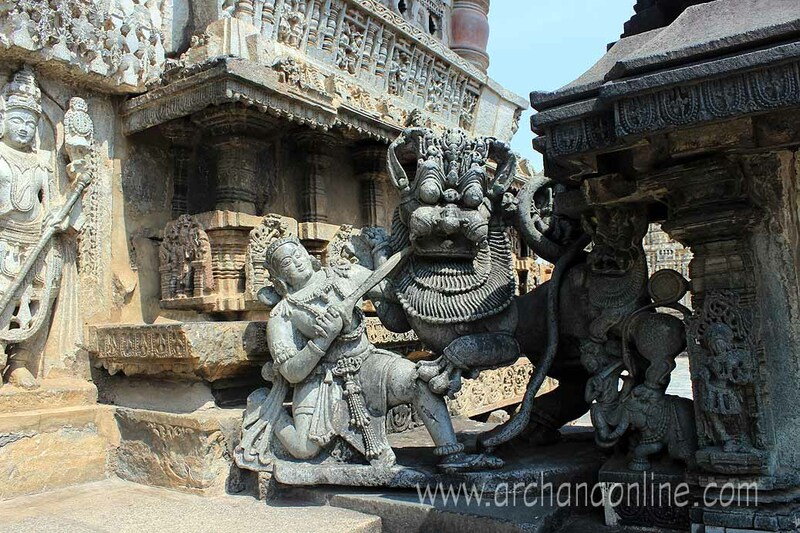 The road to Halebidu from the national highway at Belur is quite bumpy, though its just 15kms. We wanted to wind up fast, and hence did not hire any guide. The entrance of the Halebidu Hoysaleshwara temple was flocked with the book sellers, making it difficult to roam around outside. 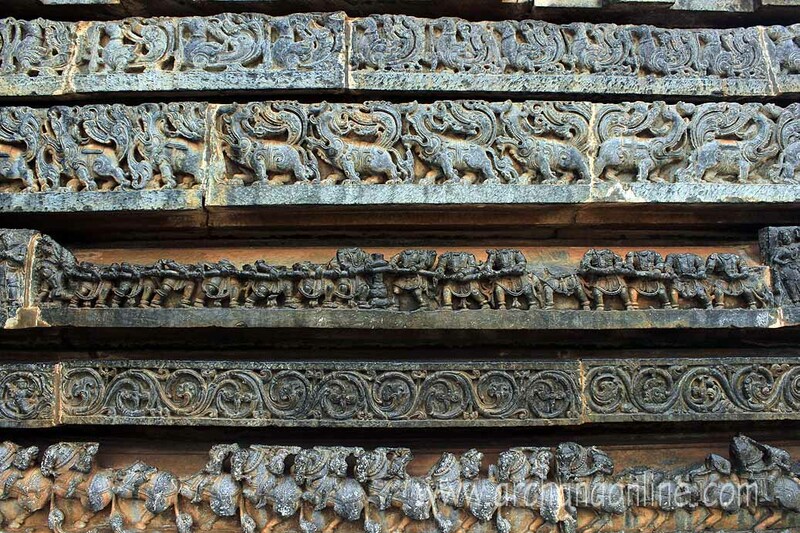 The temple carvings were bit more intricate than Belur on the outside walls. But the damages caused by vandalism during Mughal period was also enormous. We saw quite a number of foreigners visiting the temples in search of Indian architecture. We had our lunch at Kamat Yatri Nivas just before Channarayapatna on the main highway. After an elaborate thali meals and dessert, we started our return journey. Since it was a Sunday, the traffic was way higher than how we came on Thursday. We maintained a speed of around 90-100km/hr, especially at the Bangalore-Mangalore highway close to Nelamangala. We reached back home at around 7.30pm. 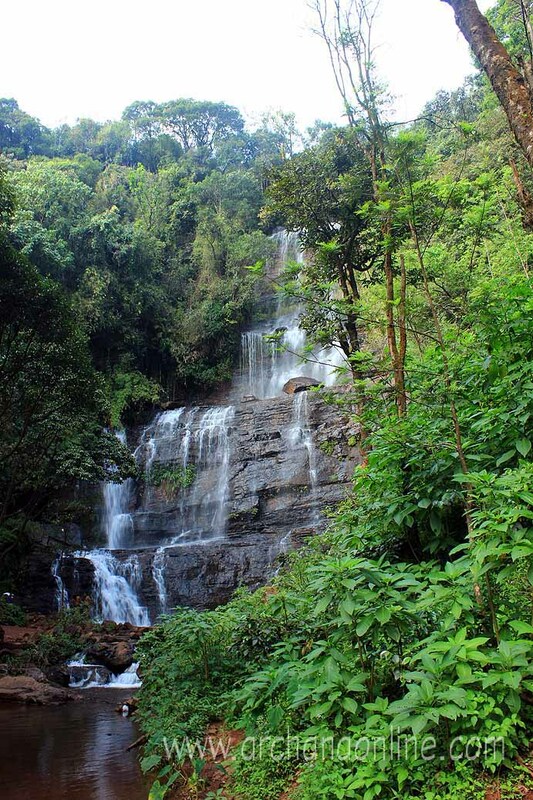 Though we missed the famous Kemmanagundi greenery, and some other waterfalls, we had a leisurely stay at the beautiful Thippanahalli estate, and it was a complete mini vacation, which we enjoyed to the core.